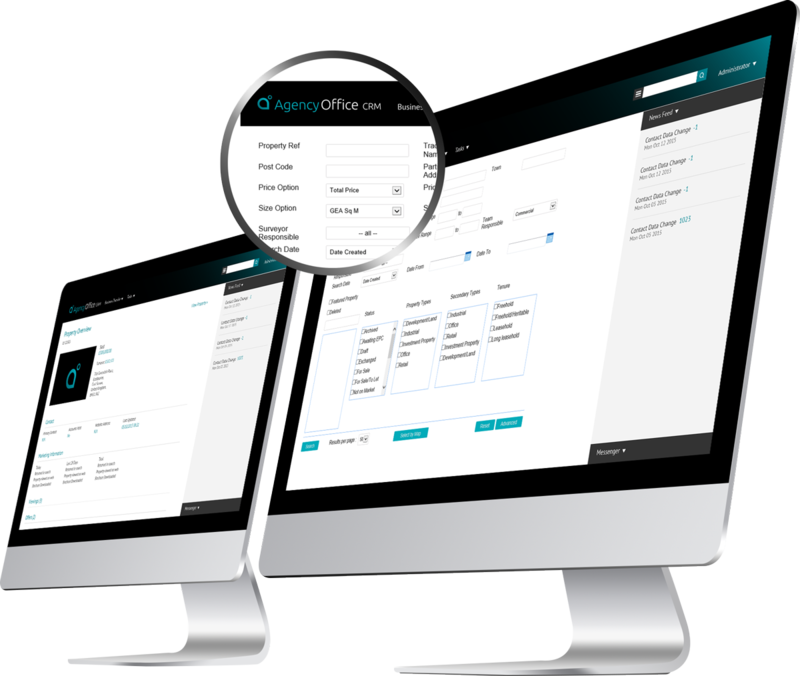 Agency Office has a unique approach to building a CRM that includes a base application but also enables customization to exactly cater every client’s requirements. The search and matching modules built in Agency Office are capable of filtering on geography, size and price ranges, status, tenure, staff assignments, dates and much more. It is possible to search for listings which have had or not had certain activity within a specified time period e.g. offers made, viewings booked etc. In case of all built in searches it is possible to save search criteria and create lists of results to use for document or email creation, exporting to Excel for reporting, or other mass marketing tools saving hundreds of hours of work.